TOSAC fest is our annual theater festival. 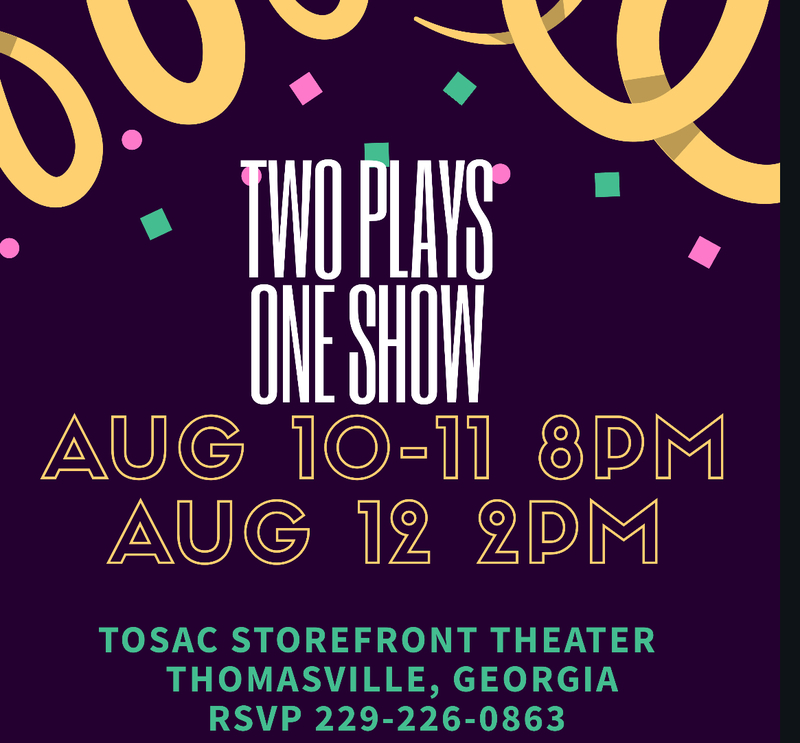 This years TOSACfest is once again a celebration of local playwrights, with the additional inclusion of a selected student playwright. 2 plays in 1 show will present both selected plays in one show separated by an intermission. The first play is “The Mystery of the Millionaires” a one-act play about The Roaring Twenties written by Ashleigh Witherington and is suitable for all ages. The second play of the show is “Megan” a one-act play about redemption written by Robin Branda and does contain adult content. The festival tickets are $15.00 and include both shows. Tickets will be available at the door the night of the performance or may be purchased in advance online at tosac.com/tickets using PayPal.